I sowed the first of my tomatoes today, a variety called Aegis which will grow extremely vigorously, but bear very few fruits - and those which do develop are by all accounts bitter and inedible. 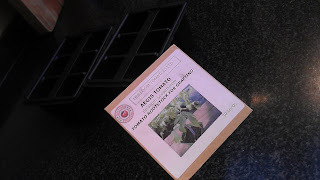 The packet even comes with a warning: "This tomato is not suitable for eating or for food production". 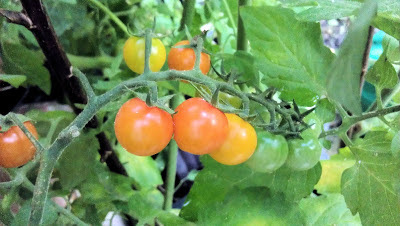 A good thing, then, that I have no intention of growing these particular tomatoes to anything like maturity. Once germinated, these tomato seedlings will be used as rootstocks - this year I'm going to try grafting many of my tomato plants. These vigorous Aegis plants will have their tops lopped off leaving a bare stem and root, and the stem from a different variety - a variety which bears more bountiful and more flavoursome fruit - will be grafted (transplanted) on to the stem of the rootstock. 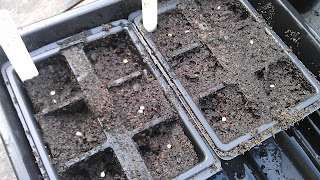 compost and placed in a heated propagator to germinate. Nearly all fruit trees sold for cultivation these days are grafted: the rootstock generally determines the size of the fully-grown tree, which is why we can grow fruiting apples, pears, etc, in a pot on the patio. The top of the tree will have been grafted on to a dwarfing rootstock, a variety which produces only a very small tree anyway. Grafted trees also typically bear fruit much more quickly - no waiting around for years until you get your first crop. 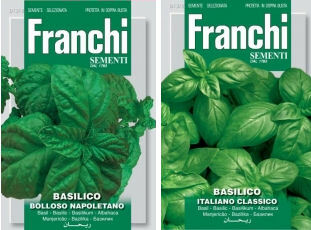 Now grafted vegetables are becoming more popular - nearly every seed catalogue I received had a couple of pages of grafted plants for sale, and not just tomatoes, but aubergines, peppers, cucumbers and melons as well. Why do this? Why take the root of one plant and meld it with the top of another? For vegetables, it's not so much a case of determining the overall size of the plant and more to do with vigour, heavy cropping and disease resistance. packet it says "not suitable for eating or for food production". When you graft a plant you apply the characteristics of the rootstock variety to the top plant - called the scion. 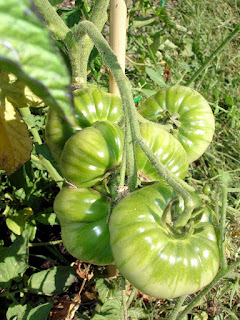 The tomato variety Aegis, as mentioned above, is vigorous, and also disease-resistant. For the scion - the variety you want to graft on top of the Aegis rootstock - I'm looking at varieties which might bear beautiful fruit, but which may not be overly productive and which may tend to be prone to disease. Both of these are characteristics of many heritage varieties: delicious fruit but difficult to grow satisfactorily. I'm hoping that by grafting a heritage scion on to my Aegis rootstock, I'll get a healthy, heavy-cropping tomato plant which doesn't keel over at the first sight of disease. I haven't entirely decided which varieties I'll use for the scion and there's no harm in sowing the rootstock a few days in advance to ensure a good strong base for my heritage 'top-plants'. 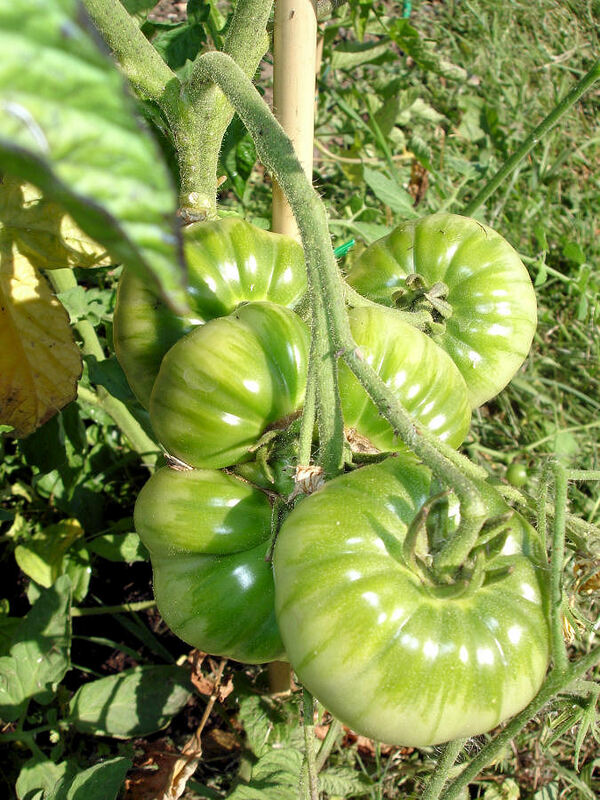 We're looking at tomato grafting in the Secret Garden Club at the end of March and we'll keep tabs on all our grafted plants and how they do throughout the summer.